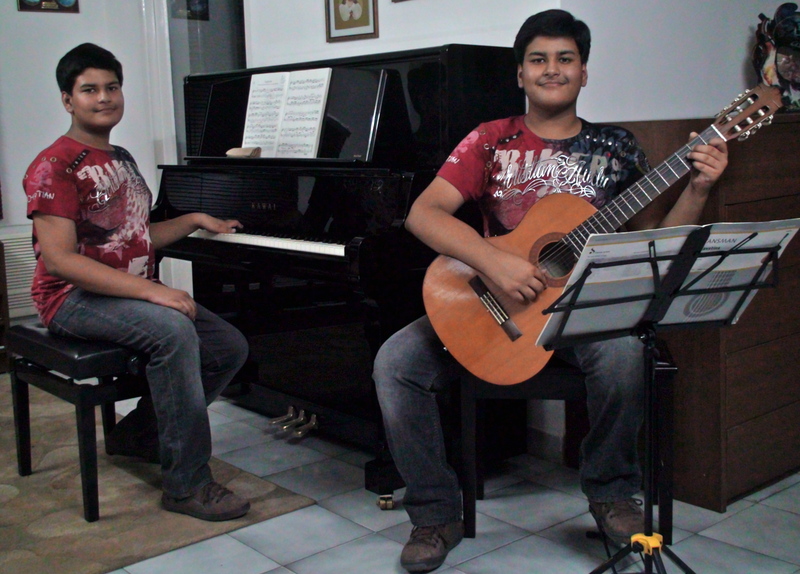 Twin brothers Eash Goyal and Eashan Goyal (Born August 24, 1997) of Chandigarh, Punjab, are the youngest brothers to play western classical music. Eashan plays Western classical Guitar and Eash plays western classical piano and they have passed advanced 6th grade level according to the Associated Board of the Royal School of Music, London in November, 2011. Comments for YOUNGEST TWIN BROTHERS TO PERFORM WESTERN CLASSICAL MUSIC are now closed.